Their speed and attacking flair has spooked many a side, vindicating the faith shown in maligned coach Nathan Buckley at the end of last year, leading to a mouth-watering clash with the top-of-the-table Tigers on Saturday afternoon. One of the chief protagonists in the Collingwood narrative is livewire Jordan de Goey. 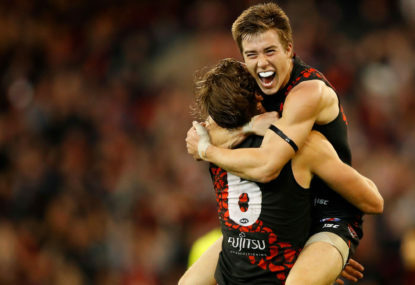 Despite starting the year behind the eight-ball following an off-field indiscretion, the 22-year-old is flourishing in a new role as a deep forward-midfielder. 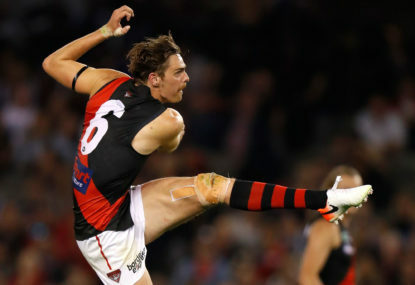 To date, he has kicked 30 goals from 14 matches in 2018, and is posting career-high numbers in average kicks, inside 50s, score involvements, metres gained and marks inside 50. His goalkicking tally would see him leading the race at seven AFL clubs, and share the lead at another two. He’s been Collingwood’s leading goalkicker in five matches this year, including a haul of six against St Kilda and five against the Lions. Alongside Will Hoskin-Elliot (34 goals), Josh Thomas (28) and Jaidyn Stephenson (28), Collingwood have found a band of mid-sized marking forwards that possess electric speed and are strong overhead, presenting an awkward match-up for traditional key defenders. File that under ‘quotes you did not expect to hear in 2018′. I know I have. But he has also shown the ability to wreak havoc in the midfield. In the Queen’s Birthday blockbuster against Melbourne, he had 30 disposals, 12 inside 50s, seven tackles, four clearances and three goal assists in a dynamic performance. De Goey is the ultimate ‘hybrid’ footballer that every club is so desperately hoping to land each November. 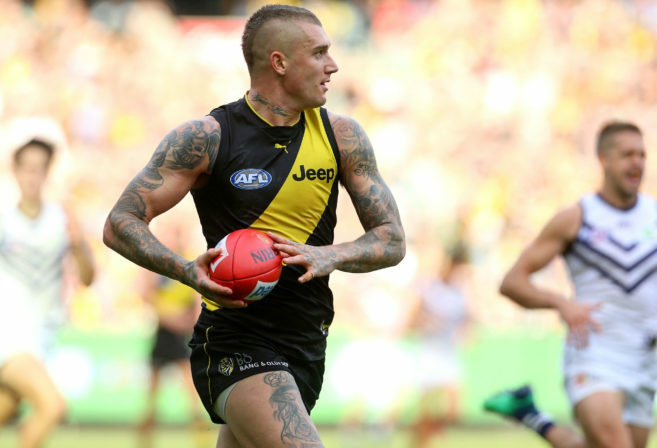 He can play in multiple positions, he has the size (191cm, 91kg), he makes good decisions with ball in hand and presents as a competitive beast on the field, very much in the mold of defending Brownlow medalist Dustin Martin. Which is why it’s so disappointing that we won’t get to see them go head-to-head on Saturday. For those who haven’t heard, De Goey has been ruled out of the game on Saturday, succumbing to a bone stress injury in his lower leg. 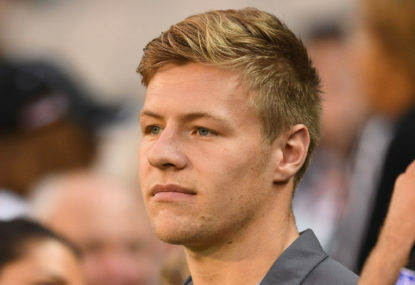 Having not missed a game since his return from suspension in Round 3, it’s hard to argue Collingwood’s brilliant form hasn’t come on the back of having De Goey in the side. After starting the year 1-2 without him, they are now 12-5, a game clear of Sydney in fourth and 11-4 when De Goey plays. From Rounds 4-18, the Pies are, on average, a two goal-per-game better side, create five more scoring shots per game and inside 50s per goal comes down from 5.2 to 4.2. Across the season, they are the third highest scoring team and, since Round 4, they are scoring 97 points per game, compared to 82 in the first few weeks. Those numbers may not seem like a huge differential, but against a side as strong as Richmond, and with a potential double chance and home final on the line, it’s an advantage that Collingwood would rather have, than not. De Goey’s influence also extends beyond stats and data. His ability to sense the moment and change momentum on a number of occasions has been crucial to some on Collingwood’s close wins. Against the Bombers in Round 16, with the game in the balance, De Goey kicked two goals in the final quarter to ice the game. 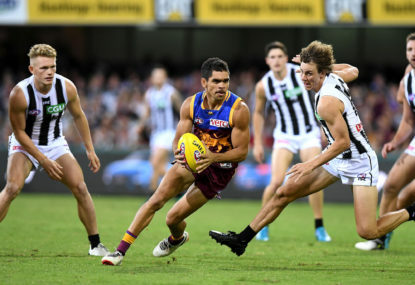 Similarly, against Brisbane, he kicked two of his five goals in the final quarter when the precocious Lions were on the charge, and arguably produced the handball of the year, leading to the sealer from Jaidyn Stephenson. Not only will he be missed in the forward line, the extra midfield minutes available through Adam Treloar’s absence will need to be filled elsewhere. 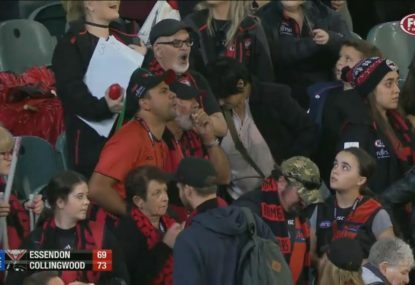 That’s not to say that Collingwood don’t have the cattle to cover the loss, but given his sparkling form, they would no doubt prefer to have him. Whether or not De Goey was playing, this match was always shaping up to be a cracker. And it there’s no doubt that it still be. 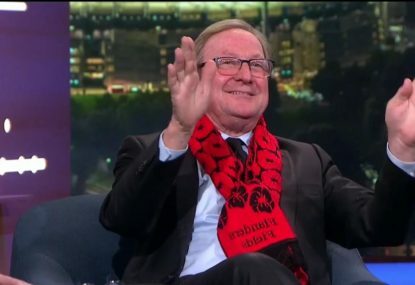 But any game that De Goey misses is a loss for fans of any club.